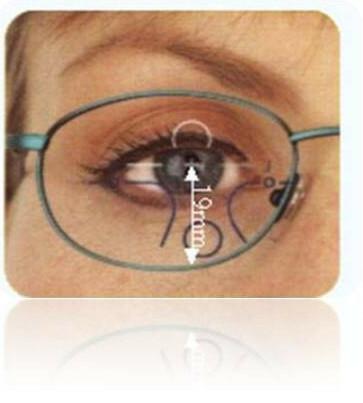 Eye Element technology that allows clear vision for short, mid and long distance with the same lens. Because Vista Progressive is based on the advanced Eye-Element Technology, vision clarity is enhanced even more, bringing it to an optimal level in every vision zone. WHY VISTA DIGITAL SHOULD BE RECOMMENDED? A technological breakthrough, Eye-Element Technology ensures the softest lens design for every vision zone, by pushing the distortions down and to the sides. 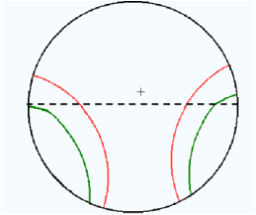 Aspheric in all its zones, Vista Progressive is the thinnest possible lens. Vista Progressive is designed for a variety of frame sizes - small and large alike. Eye Element technology offers the softest feel among any progressive lens. It adapts to you rather than making you adapt to it. 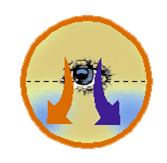 Prism Balance: Vista Progressive guarantees perfect binocular vision enabling patients to clearly perceive an object’s depth and dimension. Super Clarity: Vista Progressive is based on the advanced Eye Element Technology, vision clarity is enhanced even more, bringing it to an optimal level in every vision zone. Soft Design: A technological breakthrough, Vista’s Eye Element Technology ensures the softest lens design for every vision zone.